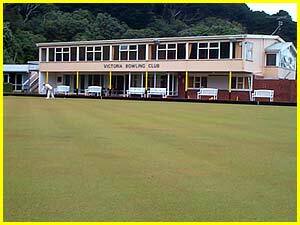 Nestled on the rise of Mt Victoria in Wellington, Victoria Bowling Club continues to thrive as one of New Zealand’s finest lawn bowling clubs. Lawn bowls is truly a game without prejudice and Victoria prides itself on being a club which has competitors of all ages, sexes, sizes and abilities. New members or older members returning are always welcome and Victoria is known as the club where the best compete, but a good time is never hard to find. Sheltered in the lush flora of the town belt even the notorious Wellington winds find it hard to muscle in when the temperatures rise on the bowling greens. Rolling up within the bushy confines it is hard to imagine that Victoria Bowling Club is only 10 minutes walk from Wellington’s central business district. 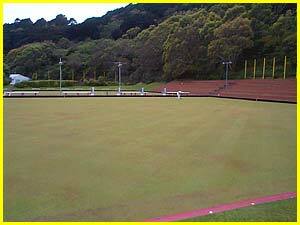 Victoria is one of the best performed clubs at all levels of bowls in New Zealand and has numerous Provincial and National titles to its name. The club has found fame as the ‘Cathedral of Despair’ hosting the Unholy Masquerade in the cult vampire comedy movie What We Do in the Shadows, however our meatpack raffles are not live meatpacks! This website is designed to answer the basic questions you may have about Victoria Bowling Club. But the game is on the greens and that is where a lot of time is spent, as our Programme page suggests. Experience what bowls should be, could be, and is like by visiting Victoria Bowling Club. 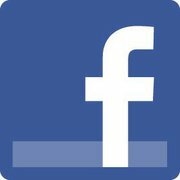 Map Location: Check our Victoria Bowling Club Google Plus page!